Flu-Tef Industries, manufactures high quality specialty PTFE insulated equipment wires, multicore cables, RF co axial cables, data bus cables and PTFE sleeves. 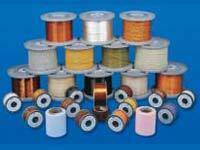 Sanghvi Products, manufactures PTFE thread sealant tapes and exports under UL listing. 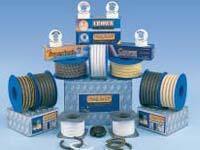 Offers a total spectrum of non-asbestos braided/ compression packing made from material like PTFE, aramid, graphite, carbon and other high tensile fiber. 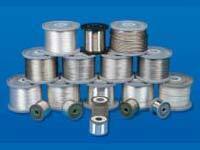 SPC Products manufactures silver / nickel / tin electroplated copper / copper alloy / copper coated steel wire conductors in single, strand and braid forms. 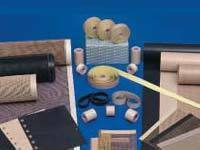 Mahavir Corporation manufactures PTFE coated fiber glass cloths, adhesive tapes, conveyor belts, thread, poly amide / fiber glass type and silicon coated fiber glass cloths. "Sanghvi Aerospace Pvt. 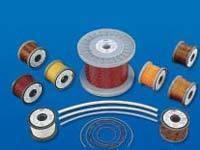 Ltd., an ISO 9001-2000 certified company, that manufactures aerospace wires and cables in polyimide (kapton) PTFE polyamide composite and specialty insulation. It has widespread clientele spanning satellite, launch vehicle, aircraft, helicopter and defense electronics. Awarded for excellence in aerospace indigenization."